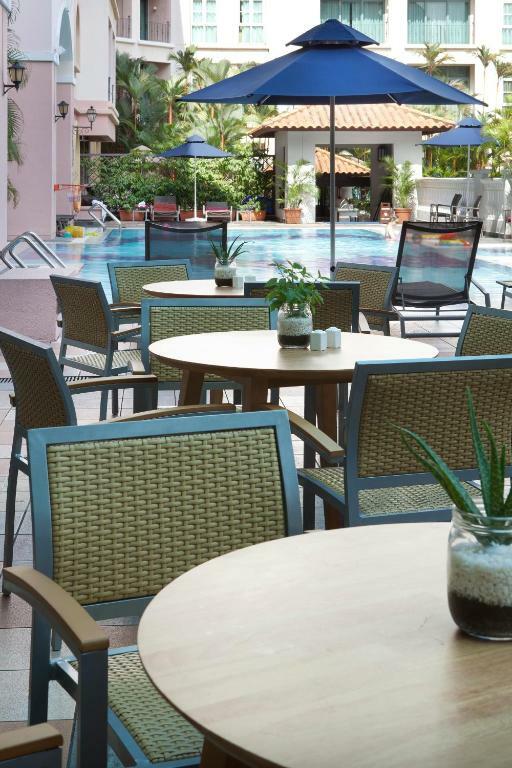 Amazing comfortable hotel, so close to everything and extremely comfortable for family with kids. Really amazing!!! Great facilities, helpful and friendly staff, great location. Excellent location and the best value for money in the city. 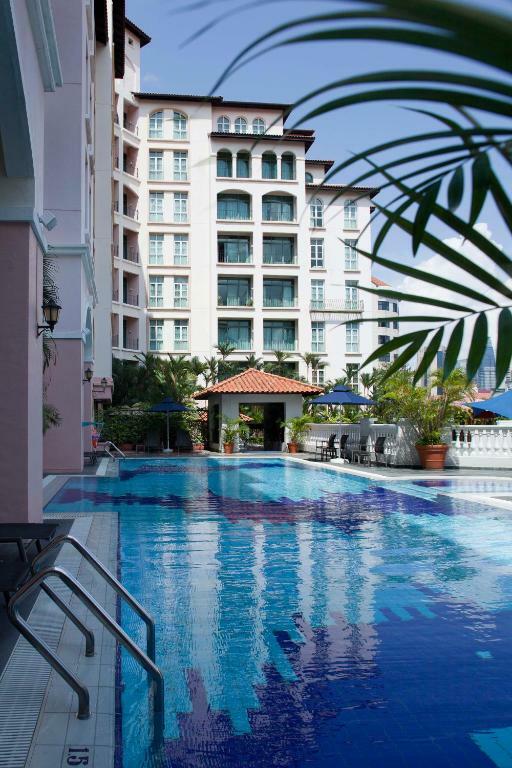 It is a 2 minute walk to the closest underground and a 10 minute walk to Clark Quay or the financial district. There are many shops, restaurants and cafes around the hotel. The location was really good, despite the downside I describe below. The staff was really nice, especially the cleaning staff. The breakfast was good. Really close to Clarke quay, 2 minutes walk, close the fort canning mrt station, 1 minute walk to a cold storage supermarket. The main swimming pool was really nice for the kids. Great location for a family. Easy access to all the major sites in Singapore. The apartment was perfect for a week. Much better than managing hotel rooms! The staff was supper helpful, when needed they helped arrange transportation and were very knowledgeable about the places we were interested in visiting. This is the place we stay on every trip to Singapore. It is consistently very good, after at least 5 stays. Clean, quiet, well maintained with a helpful staff. 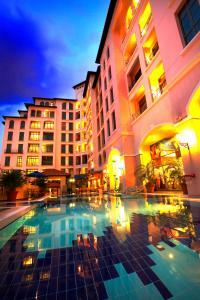 Very near to major attractions as well to public transportation. Good restaurants around as well as supermarkets. Free parking is also very convenient. Apartment was great for a family, fantastic location. Fruit bowl in the room was great. space - we are a family of 4 and our apartment had plenty of room for the 4 of us as well as all our luggage. Complimentary bottled water was great - needed for the singapore humidity. 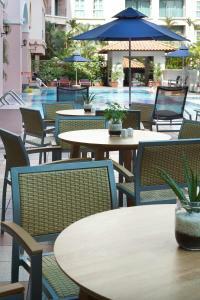 Breakfasts were more than ample and pool area was lovely. 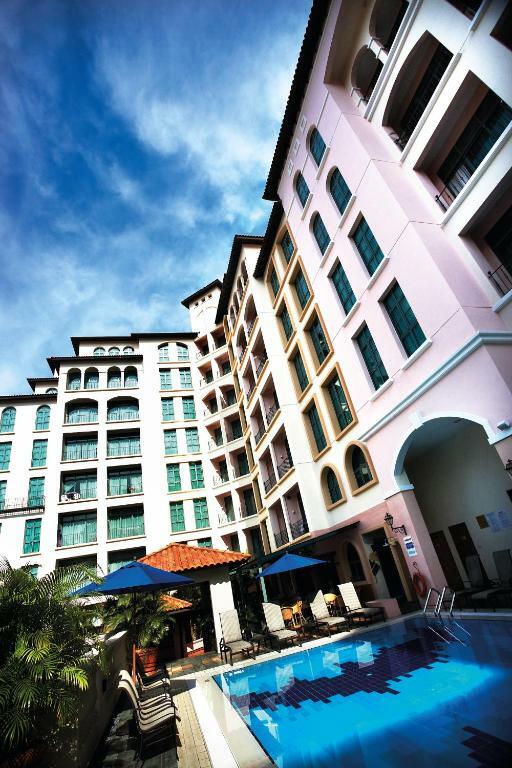 Lock in a great price for Fraser Place Robertson Walk Singapore – rated 8.9 by recent guests! 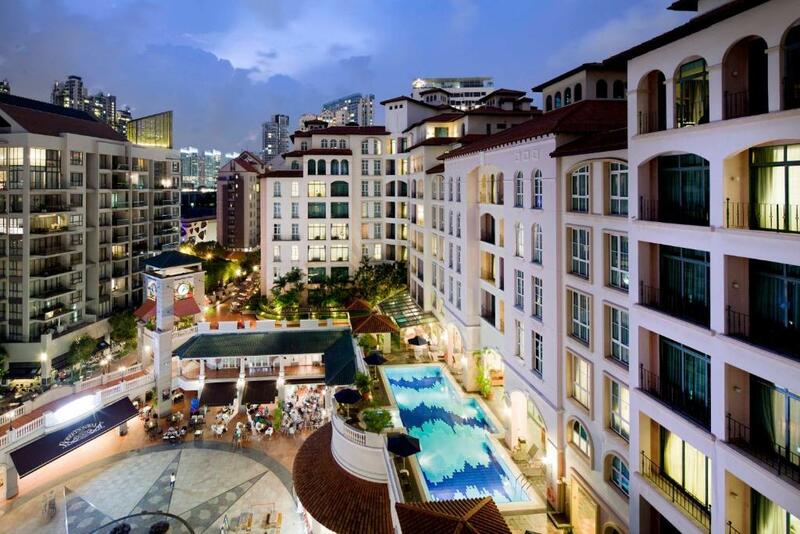 Fraser Place Robertson Walk Singapore This rating is a reflection of how the property compares to the industry standard when it comes to price, facilities and services available. It's based on a self-evaluation by the property. Use this rating to help choose your stay! 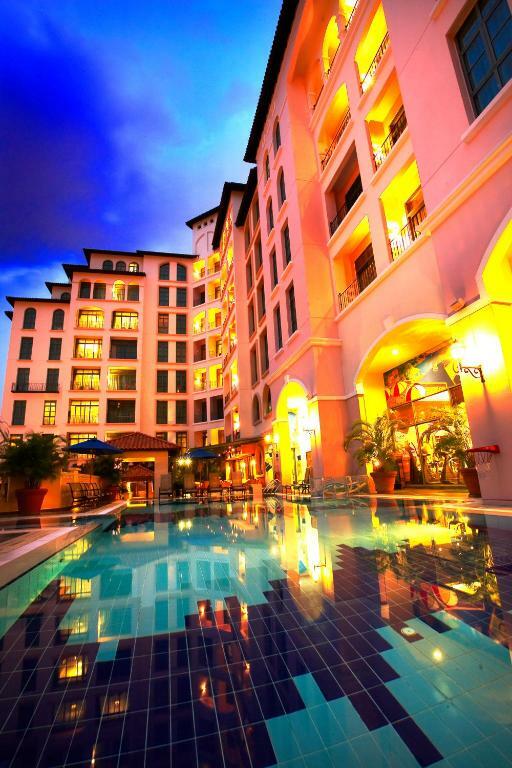 Built in the style of a Mediterranean village, Fraser Place Robertson Walk Singapore offers fully furnished 1 to 3-bedroom apartments with both free Wi-Fi and free wired internet. A free daily 1-way shuttle brings guests to popular Orchard Road and Suntec City. An outdoor pool and fitness center are also available. Spacious and fitted with warm lighting, all the air-conditioned apartments come with a kitchen, cable TV and a DVD player. Some apartments have a washing machine and clothes dryer. Private bathrooms come with a bathtub and free toiletries. Fraser Place Robertson Walk Singapore is a leisurely 10-minute walk from popular nightlife options and restaurants at Clarke Quay. 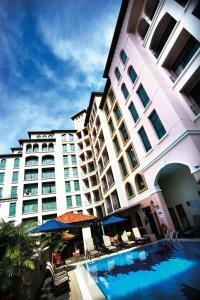 It is a 30-minute drive from Changi International Airport. One free parking space is provided per apartment booked. Guests can also relax in the steam room and sauna after a good workout. A children's playroom and barbecue facilities are available. 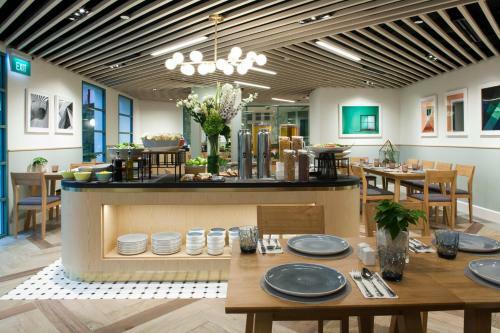 The Hub restaurant serves Asian and Western dishes, with the option of outdoor seating. In-room dining is also possible with room service. All-day dining serves no pork and no lard. 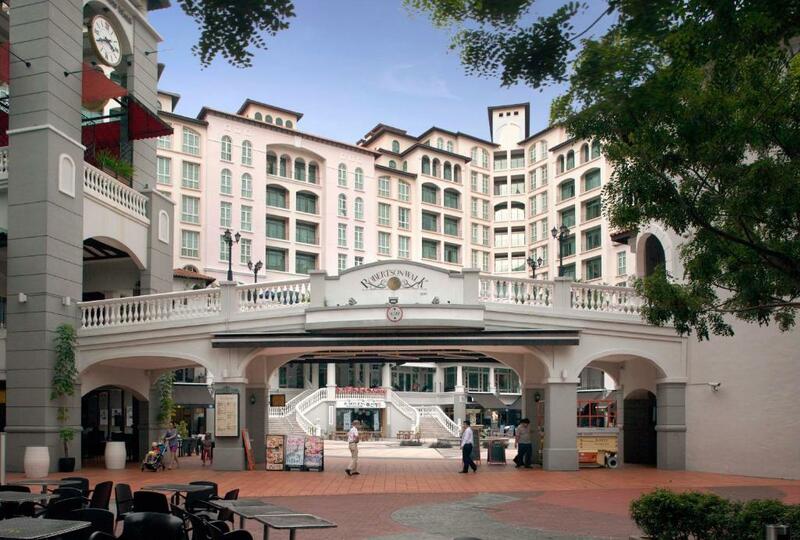 Robertson Quay is a great choice for travelers interested in food, shopping and sightseeing. 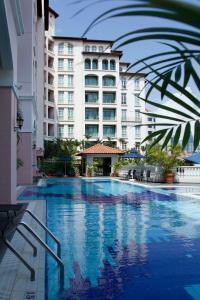 뀐 Located in the top-rated area in Singapore, this property has an excellent location score of 9.1! 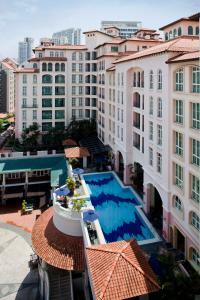 When would you like to stay at Fraser Place Robertson Walk Singapore? 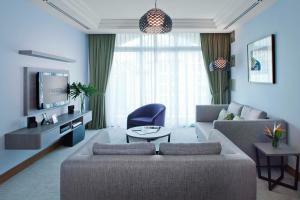 This fully furnished apartment comes with a separate living room, a kitchenette and a dining area. Has a cable TV and a DVD player. Private bathroom has a shower and free toiletries. This fully furnished 2-bedroom apartment comes with a separate living room, a kitchenette and a dining area. Includes a washing machine, a cable TV and a DVD player. Private bathroom has a shower and free toiletries. This fully furnished 3-bedroom apartment comes with a separate living room, a kitchenette and a dining area. Includes a washing machine, a cable TV and a DVD player. Private bathroom has a shower and free toiletries. This fully furnished apartment comes with a separate living room, a kitchenette and a dining area. Includes a cable TV and a DVD player. The private bathroom has a shower and free toiletries. Please note that room rate is for 5 guests only. This room is unable to accommodate extra beds. 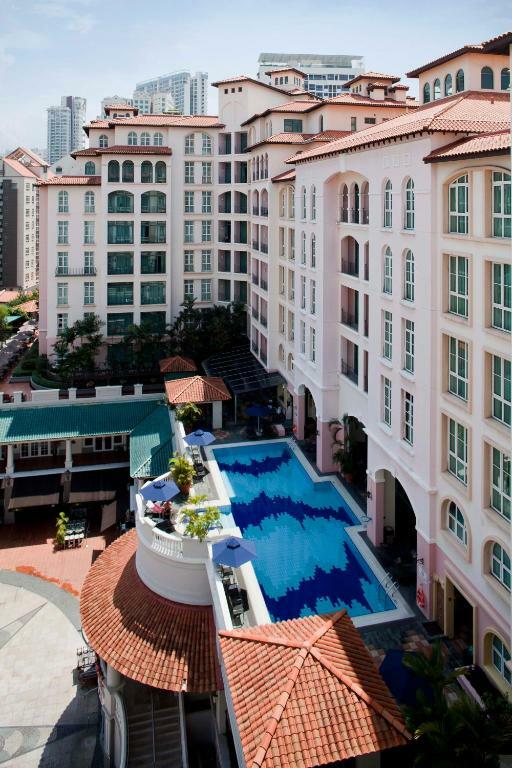 Enjoy cosmopolitan living in the energetic heart of town. Fashioned after a Mediterranean village with warm hues and welcoming colours, Fraser Place Robertson Walk is served by modern facilities and remarkable services. 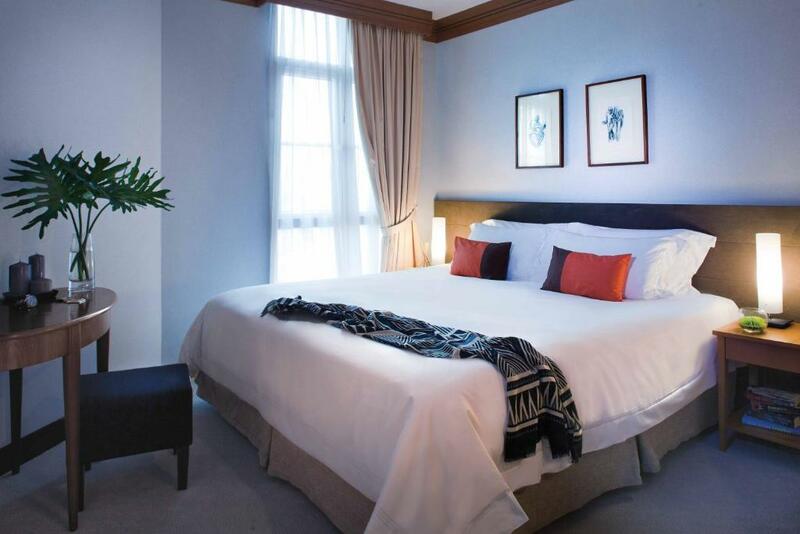 Ideally situated near the banks of the historic Singapore River, the residence offers a panoramic view of the modern city skyline and enjoys close proximity to the Central Business District. Residents are also accorded easy access to the entertainment riverside corridor of Clarke Quay and Boat Quay - hosts of a myriad of themed restaurants, al fresco dining, chic cafes, pubs and specialty shops for the trendy and hip. Staying in a Gold Standard serviced apartment has its advantages. Within the residence, or close by, is an array of facilities and amenities from convenience store and supermarkets to eateries, clinics and pharmacies, ATMs, Montessori school, post office, money changer, shops and more. Area Info – This neighborhood is a great choice for travelers interested in food, shopping and sightseeing – Check location Excellent location – show map Guests loved walking around the neighborhood! House Rules Fraser Place Robertson Walk Singapore takes special requests – add in the next step! Fraser Place Robertson Walk Singapore accepts these cards and reserves the right to temporarily hold an amount prior to arrival. Please inform Fraser Place Robertson Walk Singapore of your expected arrival time in advance. You can use the Special Requests box when booking, or contact the property directly using the contact details in your confirmation. Our apartment was on 8th floor and the moment you get out of the elevator the walkway to the apartment door is relatively unpleasant. This gives a rather spooky feeling but the moment you enter the apartment you would be surprised by the modern furnishing. Bathroom amenities were not replaced regularly. Excellent Location, spacious apartment, perfect for travelers with family, friendly staff, money exchange and 7/11 nearby. We were given early check in which was very helpful I would recommend this property to family and friends. The breakfast choice, consistency & staff attitude. The staff were very nice & curteous, our apartment was spacious, clean & well provided for. The apartment was beautifully cleaned daily, the location suited us extremely well! Limited breakfast variety, no dishwasher. Great location, good sized apartment. Daily housekeeping was good and door staff lovely. Location is great. Right downstairs there are a lot of restaurants and bars. The port is absolutely stunning at night. The apartment is very spacious and clean. Staffs are also very nice too. Equipment inside the apartment is very good. We have everything we need. Really friendly staff, wonderful breakfast spread, great location close to MRT and also an easy walk to many places as well. Breakfasts were hit and miss. Hot food options did not go together & many dishes not replenished for large number of guests. Tables hard to find and placed close together.